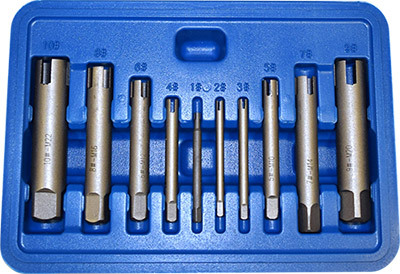 ICS Cutting Tools, located in Casco, WI, is an industry leader and innovator in drill manufacturing and distribution. Our extensive line of cutting tools (in excess of 47,000 items) is designed to accommodate almost any tooling application. International orders accepted. We ship all over the world. Talk to a person! No annoying automated menu systems. Call 1-920-837-2526 and place your order now!! Home of Roc-Edge brand saw blades! ICS now creates custom Step Drills to your specifications. Typing will reveal suggestions you can click. Hit Enter/Return for full results. Search for specific products or product codes. Know what it looks like but don't know the name? Click or swipe across an image to rotate it a full 360 degrees. • LEFT HAND tools available. • MINIATURE tools and sets for finely detailed work. • NEW PRODUCTS for recently added products. • EMPLOYMENT for possible job opportunities at ICS. • SHOP to search/shop the product database. • VISUAL to search through product images. • PRODUCT TREE is a site map style layout for product page links. Set up intuitively like a Family Tree. • SURPLUS for surplus machinery ICS has available for purchase.